According to Capital Economics, new data suggest that GDP growth in the fourth quarter GDP growth slowed to between 1.0 percent and 1.5 percent annually. In addition to this decline, stock market weakness and the declining ISM manufacturing in December are all contributing to the recession concerns. These same negative factors led to past recessions in the U.S.
"The surge in the spread between yields on junk bonds and Treasury securities is a mild concern," the report stated. "But the spread is only slightly bigger than its historical average and it is well below the levels reached during the past two recessions. The same pattern holds for investment grade corporate bonds: The spread is now slightly bigger than the historical average, but only just." However, despite some of the worry, the report outlined that the positive December jobs report Friday confirms that the "US economy is doing just fine." 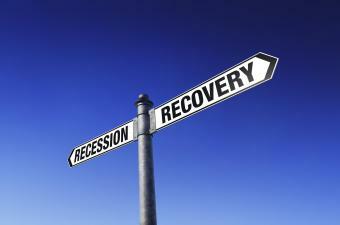 "We have reached the point where the US economy is close to full employment," the report said. "But the important difference is that we have not yet seen any acceleration in price and wage growth and, consequently, monetary policy has remained unusually accommodative. That won’t change any time soon. The Fed has stressed repeatedly that it intends to raise interest rates only very gradually and, even when it has met its full employment and price stability goals, it anticipates that the fed funds rate will still be well below its long-run equilibrium level." "Rather than dying of old age or at the hands of some external shock, most recoveries are killed by the Fed. But in this case the Fed hasn’t even begun to sharpen the axe," the report continued.